During the cruise you will explore recent and innovative skyscrapers, residential “Starchitecture”, enduring Art Deco and Beaux Arts icons as well as waterfront parks and infrastructure. Discover a unique architecture tour aboard elegant 1920s-style yachts. 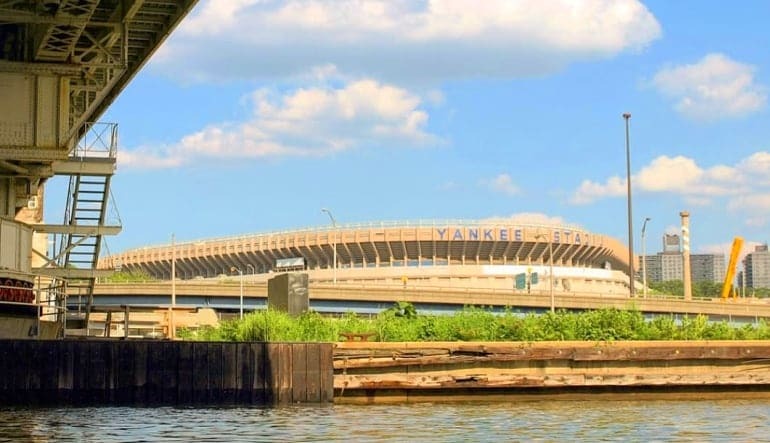 The "Around Manhattan" tour narration, provided by members of the American Institute of Architects’ (AIA) NYC chapter, is general enough for visitors yet detailed enough for the locals as well. 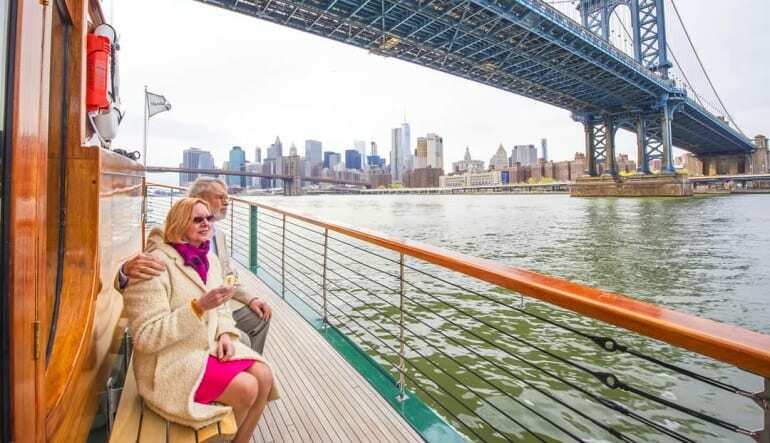 On this cruise you’ll circumnavigate the island of Manhattan (passing under all 18 bridges) while taking in monuments, architecture, parks and infrastructure. 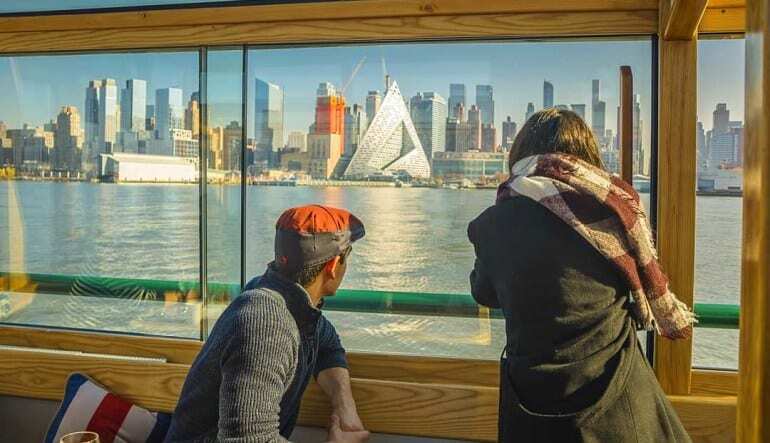 During the 2 hour and 45 minute cruise you will explore recent and innovative skyscrapers, residential “Starchitecture”, enduring Art Deco and Beaux Arts icons as well as waterfront parks and infrastructure. This cruise is amazing! We went in early November, weather was perfect and the boat was comfortably booked. Great tour guide! I learned so much. Thank you! Staff was attentive and the narrator was very knowledgeable.